does anyone know if free accts can do this? oh no the deluxe challenge treasures of the crystal sea kc is going to take me FOREVER ugh – gaga, you’re right, a challenge! Apparently they’re having a town hall meeting to “provide and overview of a student-initiated request to revise the University’s course grading system”. Does this mean they’re rethinking the stupid new grading system they gave us this year? And change it back to the way it was? The way it should have STAYED? Because this new one is negatively affecting my gpa and i’m mad? And they can throw out the dumb one we have now and recalculate our gpas? Probably not. I’m just irritated because I calculated what my gpa would’ve been had they left the grading system alone. It would’ve been .075 higher, which doesn’t seem like much, but that just based on one semester with this system. By the time I’m done with this degree I’m sure the different will be much more significant. Even .075 higher can make a difference. Dee, do you have an account I can send mail too? I found out your bbqueen account can’t get mail. !! I hate the crystal sea game. But I can do it enough for one trophy I think?lol depends on my computer..haven’t tried on this one. Chico, I will keep my fingers crossed that they return to the grading system they used to use, miracles happen, maybe enough people complained? Keep positive! choco – do they do that a plus and a minus type of carp there? love that i made them get me the cover to my lovely cornflower blue kitchenaid mixer……….and man oh man………..why did i wait so many years to ask for it! Dee – it was the whole range like 4.0, 3.9, 3.8, etc. which would correlate with the percentage 95-100 which was 4.0, then 94 was 3.9, then it would go all the way down. Now it’s based on letter grades so like 4.0 is A, 3.7 is A, 3.3 is A- etc. So there’s no in between so getting an 89 is no different than an 85 or something like that. Our GPA’s benefited more from the previous method, which may have been why they changed it. It also benefits people who have been at the university longer and had the majority of their gpa based on the previous method. I transferred in during the last semester it was still in use so I only have one class graded that way. Part of my frustration comes from that fact that when I apply for graduate school (at the same school) I’ll be competing for a spot against people who have better gpas simply because half (or more) of their grades were based on the old method and that gives them an advantage. It’s annoying to know that my gpa could’ve been higher. I’ve heard many complaints about the grading system since the beginning of the year, one complaint was even from a professor. I also have to call the community college in the morning. It’s not letting me register for summer classes. Says i’m not eligible for registration. I hindsight I should’ve called already, I already got my degree from there so they may have to change some settings. Stressing a little because classes fill up fast so I want to get in asap. Also a little rattled. While i way trying to figure out why I couldn’t register someone played an april fools prank on me that was in pretty poor taste. Maybe I’m just too sensitive, but had it not been a prank it could’ve had some serious consequences and the person should’ve known how upset it would make me. I’m sure they got a good laugh out of it but I was terrified and on the verge of tears. not like they are weighted for honor classes, or are they? Momz – Some pranks can be funny, but I think any that would cause an emotional response (like this one) should not be done. Dee – I wouldn’t care this is the grading system they had always used, but knowing that i would have a better gpa under the old system and it gives people who have attended the university for longer and advantage is what irritates me. The second part only irritates me because it’ll put me at a disadvantage for grad school admissions. moms.. still pretty cold up here but the sun was out all day yesterday ! 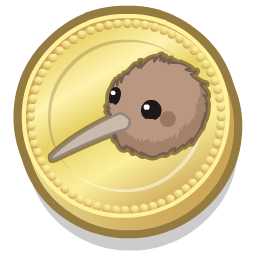 Decided to name one of the Kiwi Birds…. Durante !! Choco… feels so badly for all of you college kids who have so much additional stress to contend with…Sounds like you are doing a great job ! Chants… update of wrinkle cream………..Doesn’t work !! Finished crystal sea challenge on one account… and bathtub battle… Not sure how many accounts I will do but takes forever ! Nephew had Webinar last night for all students waitlisted at CWRU.. he is not giving up yet !!! I told him my mantra…. BELIEVE ! He thinks I’m a bit crazy ! glad he is optimistic! would love to see his first choice work out for him! To add to that stress I feel like a zombie. The doctor said it’s either allergies or a cold and not to come in unless I have a fever, which I don’t. They are gonna send a nasal spray to the pharmacy so maybe that’ll help. I was up half the night not able to breathe out of my nose. I had to sleep in the recliner because laying down made it worse. Not sure if I’m going to class tomorrow but I have a big project to work on. Called the school and they said I need to come into the registration office to update some info before I can register. Comment must’ve went to the trash. Not sure what upset the sensor. Gaga- How amazing that you finished Crystal Seas & Bathtub Battle on one account! I just don’t have the patience. 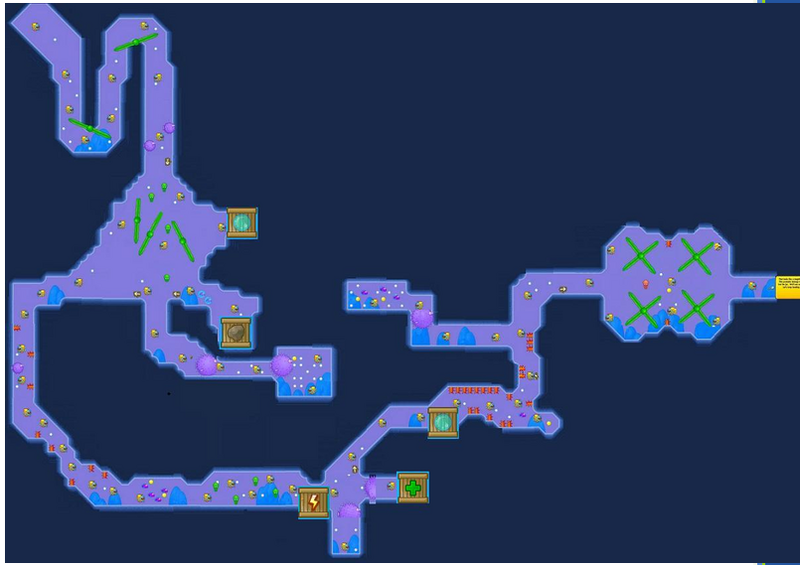 My goal is to get 20 – 25 KC per day on the two deluxe accounts on the Crystal Seas. It is a slow process. with sauerkraut………should i do a cold german noodle salad or make spaetzle? spaetzle is a bit of a chore, but mighty stinking fine! Cheese – You are so kind!! Thanks so much for the generous gifts which brightened my day! If there is anything on your wish list, don’t hesitate to let me know! I actually like this game. I love picking off the puffer fish and ducking through the moving arms. I’ve never won the trophy, but I’ve come awfully close and as for Bathtub battles? I beat just about everyone I play against. I’ve learned how to maximize my shots. And I know that NPC’s can’t use the big guns, so that’s where I have the advantage. Running really late today ! Stayed up late and then couldn’t sleep ! DIxiecup .. any helpful hints for the Crystal Seas game ?? Hope you all are well… have a good day ! 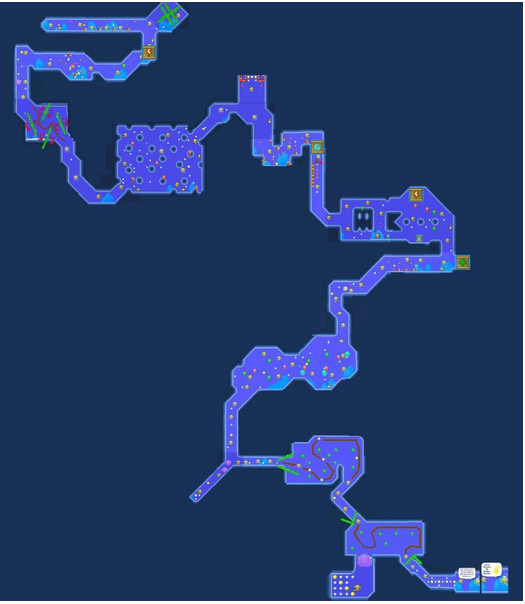 Biggest thing is that you only have 500 minutes to complete the paths. Don’t go exploring, it’s pointless unless you want to top that high score (but really all you want is to finish). You only have so much air in reserve, watch the movements of the propeller blades and the fish going up and down, you want to avoid wall spikes. The [+] boxes are your friends! It helps to know where those are. 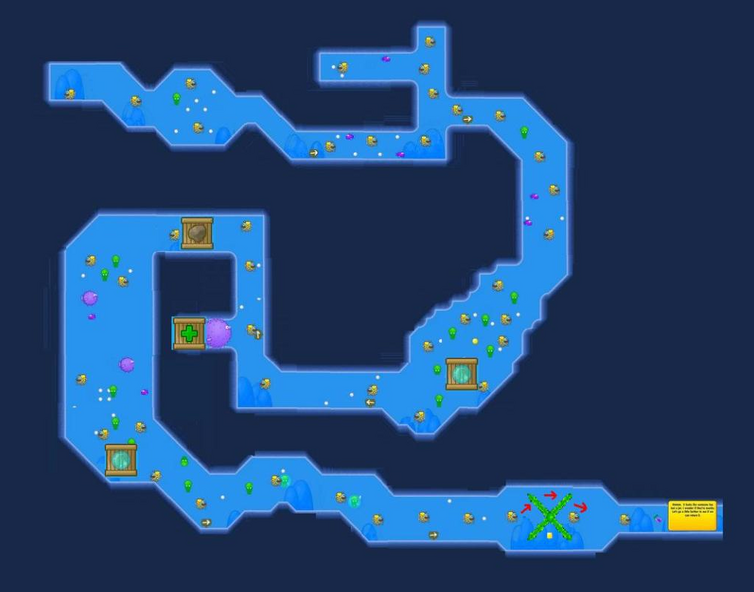 I have posted pictures of the maps in WI, but I can drop the links, here so you have a good idea where those power ups are. [O] are a free protective bubble, they are also friendly. Save your rocks for the puffer fish. Aw, you’re very welcome Muffin Hugs! gagagee, thanks for the heads up on the Kiwi Bird Pet Medallions! I’ve been setting my timer for 5 minutes and 45 seconds which seems to be working well on my main account And congratulations on your Goody Gumdrops Trophy! 2 Amazing Bundles to choose from Exclusively for DELUXE! 1) Get 1 Retired Holland Lop Bunny PLUS get the Spring Basket Cottage and 10 Spring Egg Mosaic Tiles before they are sold to anyone else! 2) Get 1 Spring Basket Cottage and 10 Spring Egg Mosaic Tiles before they are sold to anyone else! crazy quiet day! thanks for the codes dixiecup! Did you finish your book, moms? Quiet day…yep! Working on gathering tax info. Not much fun since I had misplaced some important info. Found. So tomorrow I will be applying myself. 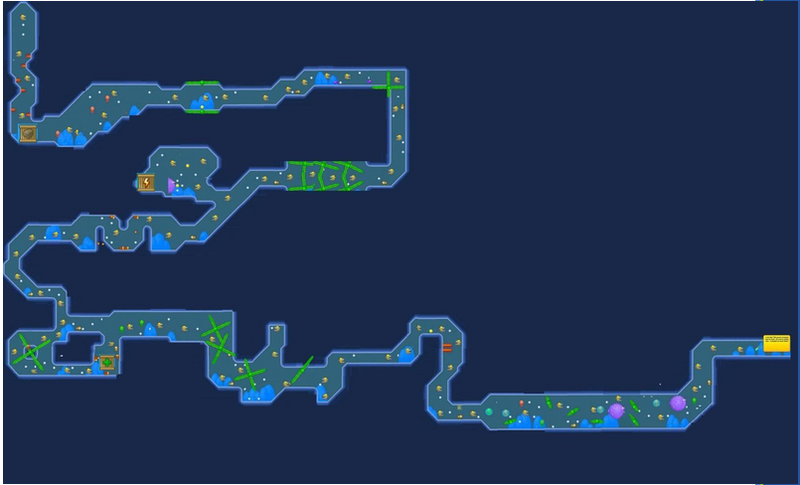 I only can make it through halfway on the Crystal Seas game. I mean halfway through level 1. LOL! Not very good at all. Do I need to collect all the white bubbles, Dixie? I don’t totally understand what I’m to be doing other than go from point A to point B.
Dixiecup .. thanks for the info on Crystal Treasure game… Have only been able to get as far as the magnifying glass but still have a couple accounts I will be trying to finish ! Thanks for posting the codes too ! moms.. thank you for the estore info… seems like a pretty good day.. will pass on the bunny…Hope you are enjoying spring break with the boys !! Hope you all are having fun catching the Kiwi bird !! Can’t believe they have scheduled a Wacky Weekend !! No time to play that game ! All the white bubbles do it up your score a bit. It’s like the white balls in the Webkinz Rally. It’s the green balls that put those lil critters in jello that are more important. If you want to get through to the end ignore the white balls, you’ll still be around 100 by the time it’s all said and done. Save exploring the side rooms until you get better at the game. And really, getting from point A to point B is pretty much the goal. Dixie – how do you get items with Helping Paws? I either get 100 or 500 coins. Thanks for tips about the white bubbles, too, for the Crystal Seas game. Not sure about reference to Webkinz Rally game because I am absolutely terrible at that one!